South Korea’s financial regulator plans to launch at the year’s end an “open banking” system that grants financial technology firms access to the payment networks of commercial banks, moving forward the government’s ongoing effort to spur fintech innovation. The open banking network, scheduled to go live in December, will make way for the operation of all-in-one banking apps that allow users to access the money transfer and payment functions of various banks on a single platform. The network’s launch date was announced by the Financial Services Commission during an open banking seminar in Seoul on Monday. The regulator had first disclosed its open interbank network scheme in February and has since been preparing for its launch. As of now, only banks have access to the financial payment network needed to facilitate money payments and transfers. Moreover, each bank is allowed to handle only its own services. 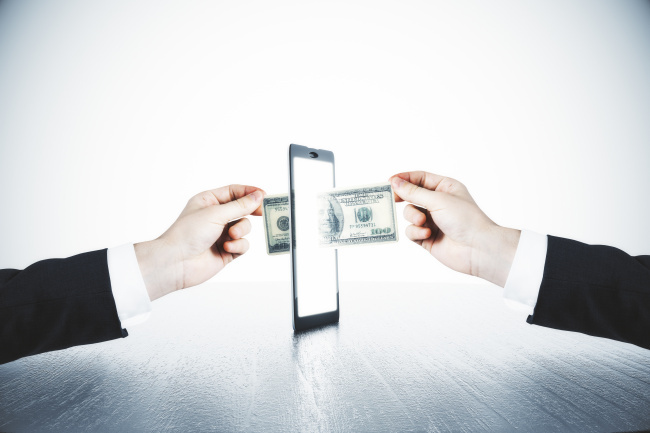 But the envisioned “open banking” network would allow fintech players to directly access these banks’ networks, removing the cumbersome process of having to negotiate one-on-one network access arrangements with individual banks. Lowering network usage fees is another main part of the FSC’s open banking scheme. Banks currently charge around 400-500 won (35 to 45 cents) for each case handled. But with the new interbank network, this fee will be brought down to one-tenth of the current level, and even lower for smaller startups, according to market projections. In doing so, the FSC aims to help Korea foster more successful fintech firms pursuing mobile money transfer and simplified payment services such as the likes of Toss, Naver Pay and Kakao Pay. 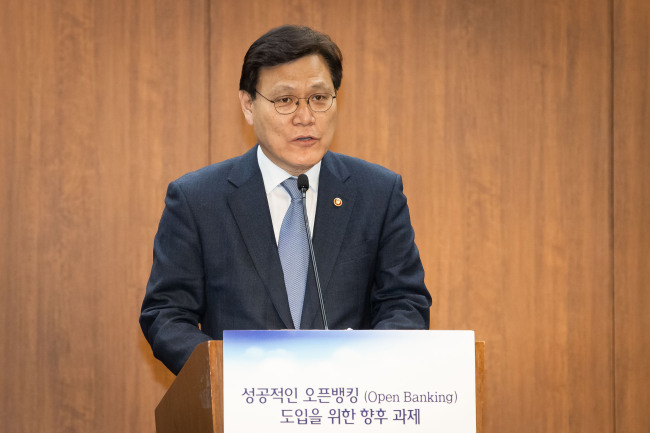 Despite a consensus that the open banking initiative will support Korea’s fintech drive, concerns have been raised over issues such as data security and network stability maintenance. One worry is that fintech firms, due to their smaller size and inexperience, may be more prone to security compromises when facilitating transactions under the open banking scheme. The regulator has explained that the fintech players involved would be accessing the open network through the banks’ systems, thereby lowering the associated risks. The FSC has also pledged to put in place independent security safeguards to ensure full customer protection. The open banking scheme comes as the Korean government has designated fintech innovation as part of its key economic agenda going forward. In line with that direction, the FSC has been working to build a legal framework conducive to the creation of new fintech services and products. On Tuesday, the National Assembly passed a bill to amend the Capital Markets Act to permit “robo-advisers,” an automated algorithm-based investment program, to directly engage in fund management activities. The revised law will take effect from July 1. From this point on, robo-advisers will be able to manage funds in place of humans, according to the FSC. Earlier this month, Korea also saw its regulatory sandbox policy for the finance sector take effect, providing wider latitude for companies seeking to launch new fintech innovations here. A regulatory sandbox is a mechanism for the development of regulations that do not unduly slow down the pace of innovation. Current regulations could be temporarily suspended for new forms of financial services while they are being tested in the market. While keeping basic safeguards in place, new regulations would be drawn up later, once it became clear what kinds of regulations are appropriate and reasonable. The FSC will announce Wednesday the nine Korean fintech services selected for “priority review” for inclusion in the financial sandbox experiment, the FSC said.